Self-esteem and body image issues can be a very difficult part of adolescence and young adulthood. Each generation has its own idea of “perfection” perpetuated through media, peer pressure, and societal prejudices, all have which take strong roots in our thinking. 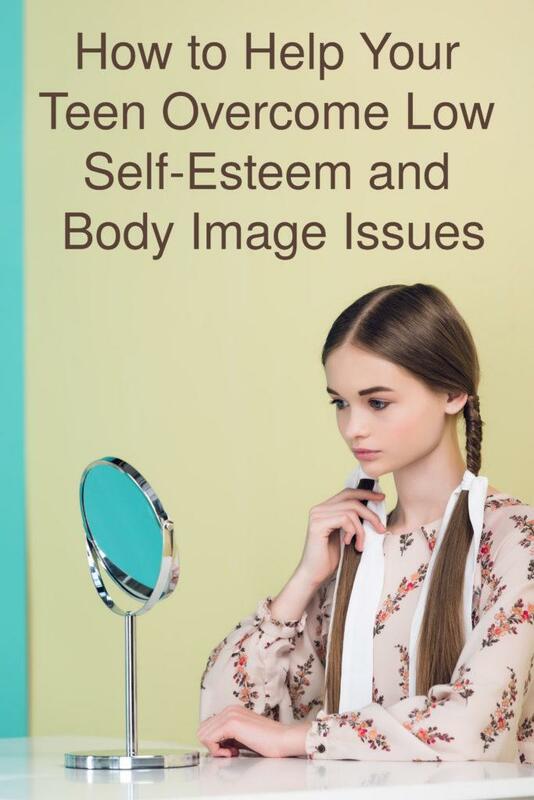 Any kind of negative imaging in the formative years can lead to teens picking up a distorted view of what constitutes the “right” body image and self-concept. Body image is how one perceives oneself physically. Self-esteem on the other hand takes on a more holistic view of how one values and respects oneself as a person. Body image and self-esteem are closely linked in the sense that they have a spill-over effect on each other. A positive body image allows you to appreciate your individual qualities and strengths both on the inside and the outside. When you feel good inside and out, it has a positive influence on other areas of your life – you feel good about your life, the people in it, the work you do, and your accomplishments. Each of these in turn drive you towards a more positive future. This is what a positive self-esteem constitutes – a qualitative and a quantitative appreciation of oneself. More than 50% of teenage girls and 30% of teenage boys turn to unhealthy eating habits and addictions as a means of controlling their body weight. Among middle school and high school boys, more than 40% take to exercise with the primary goal of enhancing muscle mass in order to project a more “perfect” body. 61% of girls struggling with low self-esteem issues are more prone to talk about their body negatively. According to the National Institute of Health, unhealthy eating habits and addictions can lead to both health risks and mental disorders or conditions such as depression. Establishing these habits at a young age can result in a teen who continues presenting with these habits even into their adulthood. Therefore, it is so important for parents to help their teens and young adults develop a healthy body image and positive self-esteem. What qualities do they like about their body? Are they happy with their physical appearance (weight, height, features)? Is there a specific celebrity or public personality with a body type they like? Is there any part of their body they would want to change or replace? Focus on qualities of kindness, helping others, and honesty over physical attributes or appearances. Don’t criticize your teen or young adult over their physical appearance; work with them to pick up healthy eating habits, good sleeping habits, and to exercise appropirately. Appreciate any efforts they make in this regard. If you have a negative body image or have self-esteem issues, your kids will notice. If you tend to obsess over food, appearance, and weight they will pick up on those habits. When you speak negatively about others’ appearance, they will feel encouraged to do the same. Talk to your teen about appreciating their body and their physical and emotional strengths. You can help highlight a strength to counter any negative feelings they have about a specific body part. Impress upon them that even celebrities and public figures must deal with imperfections; the images they see on the Internet, TV, and social media are often airbrushed or manipulated. Talk to them about how marvelous the human body is in terms of what it can achieve, and that everyday life is not so much about how one looks, but about what one does. Talk to them about people who have overcome physical, emotional, gender, and community biases to achieve greatness in their lives; this can help them understand the above-mentioned point of focusing on achievements and everyday actions. Listen to your teen when they speak; if they know you are paying attention and care about their feelings, they will feel encouraged to open up about struggles. If your teen is struggling with poor body image or low self-esteem, there is every chance they can fall into the trap of unhealthy lifestyle choices, including bad dietary habits and addictions. Assistance by way of behavioral, family, group counseling, and psychiatric intervention can help your teen learn to respect, feed, and appreciate their body. To learn more about how we can help, visit Doorways or give us a call at 602-997-2880.